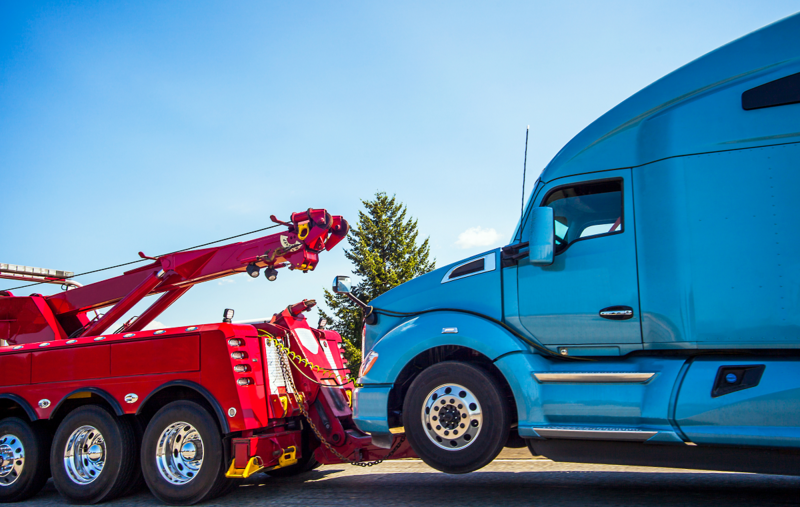 ​You’ve likely seen a few different tow trucks while out in traffic, and you might see the term “wrecker service” appear on the side of the vehicle’s body. However, many drivers wonder what is a wrecker service anyways? Wrecker services is a blanket term used to describe general use towing vehicles. A “wrecker” truck is one of the most frequently-driven styles of hauling machines by professionals because it can adapt to more types of broken down cars. Wrecker service can specifically get used to describe hauling away a totaled car from an accident, where there is no hope of restoring the vehicle, at least not without a sizable garage receipt. Or, it can also be used to explain calling someone to purchase your junk vehicle for the same reason. There are several different styles of recovery trucks available for companies to use. However, time and again, most refer to the wrecker style for its ease of loading, as well as its versatility. Most towing drivers call their flatbed recovery truck a wrecker style because it doesn’t matter what shape a vehicle remains. The flatbed has a hydraulic lift system that can load even disabled cars onto it. Why Aren’t Other Towing Services “Wrecker”? For the most part, each style of towing truck correlates to a specific type of service. For example, the recovery truck a repossession service uses are not the same type of service that a wrecker tow provides. Winch-style vehicles, on the other hand, are often used for drivers whose cars left the road and become caught in a ditch. Wrecker trucks, on the other hand, are practical for severe traffic accidents, especially when the drivers are unable to move vehicles out of the intersection. Does My Car Need to Wreck? The beauty of wrecker trucks is that they aren’t limited to totaled vehicles. No matter what your issue might be, a wrecker can help you. Flatbed towing is the most frequently requested service, and it’s often the reason why you see so many driving through town. However, locating flatbed towing in Newark NJ is rarely simple as it seems as if all drivers remain busy with other customers. Another reason why it can take forever to find a service provider is that so many operate outside the area. The may commute in from another city or a neighboring state, making you wait even longer to receive help. Whether you’ve returned home from a trip and your vehicle’s battery is dead in the airport garage, or you’re having typical car trouble, you can always depend on us for faster, more convenient towing services. We’ve been helping drivers in need for more than 15 years, and no one knows the city better than our team does. Flatbed towing vehicles are often the preferred style as it can accommodate most consumer vehicles. Everything from a motorcycle and sports coup to a beefy pickup truck can fit safely onto a flatbed vehicle. Even if your car has become disabled in some way, the hydraulic loading system still works fast. All we have to do is park near your bumper, and the loading platform takes care of the rest. Best of all, your vehicle gets securely fastened, so it’s not moving an inch during transportation. When we drop it off at the mechanic, it’s in the same shape that we found it every time. When you need safe and dependable flatbed service, you need us at Tow Truck Newark NJ today. Did you hear that there are many different types oftow trucks? ​In fact, when dealing with some companies, you want to specify what tow trucks your car is compatible with; otherwise, you’re going to need to wait for yet another driver. Although there are many, the three trucks that you will find the most out on the road are Hook and Chain, Flatbed trucks, and Wheel Lift units. All three have different functions, and some perform better in specific situations. Hook and Chain towing vehicles are not as commonly used as they once were. The reason why is that they don’t secure the car, but merely drag it by its tires in neutral gear. However, that also means wide swings and a free vehicle that can easily bump into other objects on the way to the shop or impound lot. That also means that these trucks are best suited for incredibly short distances. Flatbed towing vehicles are often the go-to choice for many service providers. A flatbed truck comes equipped with a hydraulic lift which allows the driver to load virtually any car regardless of its current condition. Because of this feature, many flatbeds get referred to as wreckers, because a totaled car is still able to get loaded onto the vehicle. These remain the most frequently used towing trucks, and the ones you see more often than others. Wheel lift tow trucks are the ones mostly used in repossessing vehicles. The tower can slip the loading system underneath the car, allowing it to load it fast from many different angles. Even if a vehicle is parallel parked, a wheel lift can likely still get it set and hauled away. While there may be a company out there that uses this style as their standard vehicle, it’s often the local repo service that drives them the most. ​Sometimes, a vehicle breaks down, and there’s nothing you can do to get it running once more. When that happens, you must call for Newark breakdown towing services if you ever want to get back home. However, when there are multiple companies around, do you know who you should call, or when? Some drivers remain stubborn, even when they have no tools to work with at the scene. Breakdown towing should be fast, convenient, and affordable. You should expect to see your vehicle delivered to a nearby auto shop, all without getting charged a fortune. Your vehicle requires towing when it will not or can no longer move another inch. While there are many reasons why that would be, the most common breakdown experiences are, dead battery, fluid leaks, overheated engine, tire blow out, clogged air filter, plus other common problems.Every driver feels as if their vehicle gets built like a tank. However, they realize how vulnerable it is once they can’t get it working correctly. Even if you know what the problem is, or how to fix it, it doesn’t help you at the moment when you’re nowhere near your garage. Instead, the best course of action is calling for breakdown towing services to get you the help you need now. While you may know that Tow Truck Newark has remained the best in local towing for 15 years, you might see that we buy junk cars here in Newark as well. We buy junk cars that are no longer operational or cost too much to fix. These are often vehicles that people have driven into the ground, and now they just won’t go on for much longer. The reason why we buy junk cars isn’t just because it’s an excellent opportunity for us, but it also helps you, the consumer, and the community as a whole. Whether the car gets fixed up and donated or sold for parts, it keeps the Newark NJ city running. Vehicle donation programs are a fabulous way of assisting those in need to get to work or find a way to their next doctor appointment. However, it takes discarded vehicles to make these programs work, and that is where our team comes in. We offer fair market value and cash offers to take your old junker off of your hands. No matter where it winds up or if it gets a new owner or not, it’s taking one more inefficient car off of the road. Most repair shops and auto garages restrict their inventory to parts that are ten, maybe 12 years old. Once your vehicle has aged past that point, it gets difficult to find an affordable mechanic to keep up with repairs. When your car does nothing but break down or develop issues, however, you know it’s time to cash out. Unfortunately, many car lots are going to refuse to take it in trade, still forcing you to dispose of it somehow. Rather than delivering it straight to a landfill, there’s a chance that it could go to benefit someone else instead. Before you call the city to get it, you can rely on our Tow Truck Company for high cash offers. Should you call your car insurance for roadside assistance? ​Maybe you encountered a flat tire, or perhaps your battery died while you were out. While you do have options, should you call your car insurance for roadside assistance? After all, it does make sense that you would contact them first. Otherwise, what is the point of paying for roadside assistance protection? However, it comes down to what your policy states, as well as how frequently you require help. Most insurance policies remain in place to protect your vehicle, and not necessarily make your life easy. Worst yet is that if you’re having an exceptionally unlucky month and you wind up placing multiple claims in at once, you are going to drive up your premiums. However, simply because you have the choice doesn’t mean that you should immediately go through your company. Typically, if something is a minor service need, you don’t always have to get the insurance company involved. A small scuff or needing a tow when the car is in good shape could be affordable enough to handle up front. Another concern is having to deal with insurance claim adjusters. If they think that you’re trying to get one by them or are trying to have the company pay for something minute, they may stick you with the bill instead. You might feel pressured to use them now because you know that, if the mechanic finds an issue, you’re likely going to need to cover it by yourself. You can’t afford to pay both now, making you take the cheap way out. However, if the repair need is small, or you just ran out of gas or need a new battery, it’s not going to take a lot to get your car back up and running. If you want to skip going rounds with your insurance company, you might want to attempt paying for everything upfront. What makes a Good Local Towing Company? If you have ever needed a Newark NJ tow truck driver, then you know how options stay available for your call. However, have you ever asked what makes a goodlocal towing company? When you use some services, you know what you’re going to experience before you even walk through the door. When you become stuck on the side of the road and need someone to show up, you can’t always anticipate how the call is going to go. For over 15 years, Tow Truck Newark has remained the trusted choice in full auto towing needs. We know that the secret to lasting success is a better customer service experience on every call, as well as affordable rates on all our towing options. The only thing worse than needing to call a towing company is not knowing when they are going to arrive. It can take some drivers hours to locate you if they are commuting from another city or you’re not near a major road or intersection. Instead, we remain a local service company with drivers that know their way throughout the city. And because we stay equipped with GPS navigators, we’ll find you quickly each time. When you call some towing companies, it can feel as if it would be cheaper to leave your old car and go buy a new one. However, choosing us remains the affordable solution for all your towing needs. Depending on your insurance policy, you may not have to pay anything out of pocket. Even if you do, however, we do our best always to beat out the competition. ​Working as a tow driver is no simple job. However, we understand that you need someone friendly during stressful situations. Excellent customer service helps make for good towing experiences every time. Get the treatment you deserve at affordable rates daily with us at Tow Truck Newark.